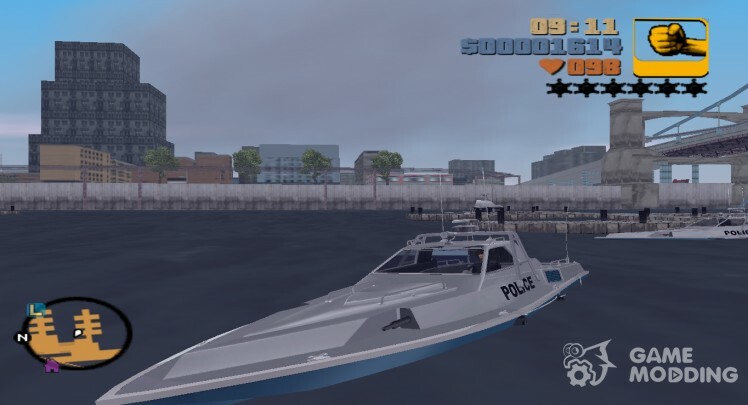 Police launch of GTA IV with the colour of the LCPD. 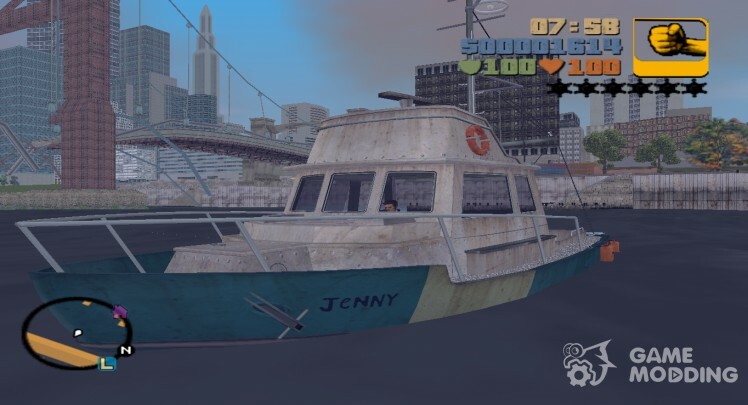 Very unobtrusive, almost elusive boat, called Ghost in GTA 3 appears once, in one mission. 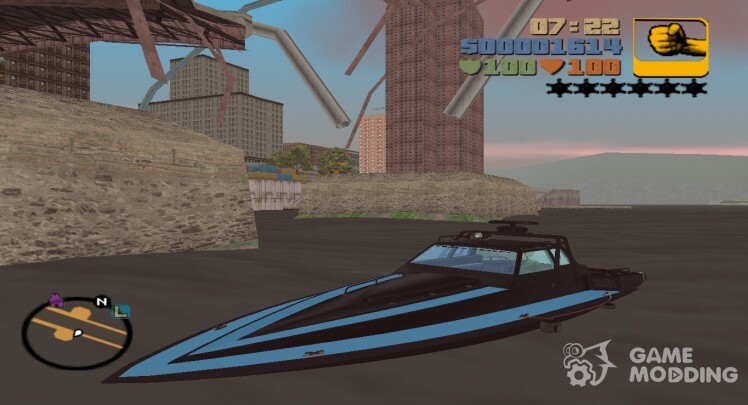 Always remembered about this boat and thought can replace? And that's happened! Just complete CLEO script, with a few things, I will not describe the play will, can see themselves. 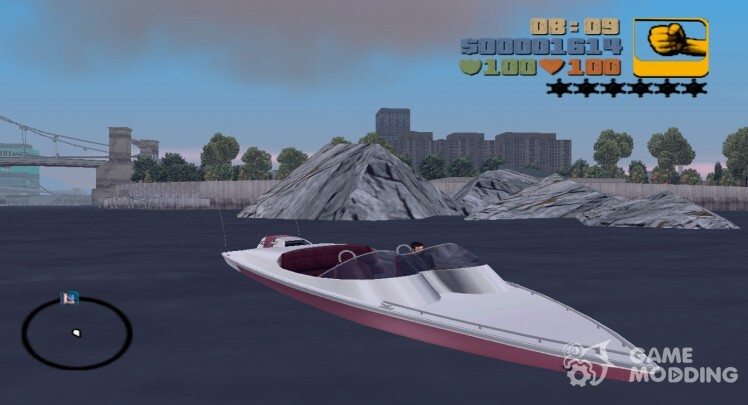 The same placement of the boat Ghost boat will be in two places, on the first and on the second island. It is prohibited to upgrade, tune, convert in other games to make changes. 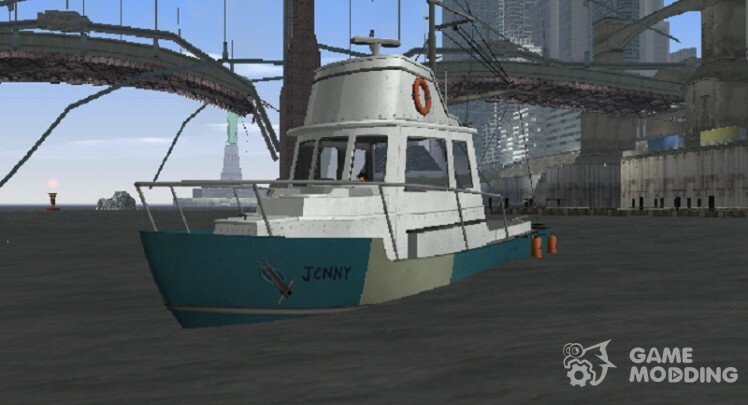 If you strongly want to see this model in another game-please email me. 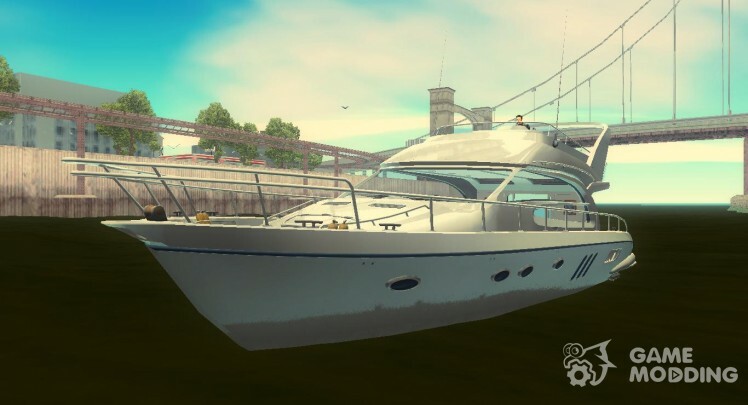 Attention!, better not spavnite yacht, and go to berth near home, where did you get the mission from Asuki. Qualitative and detailed model. Medium quality textures. Competing standard, so be careful when going out of the boat! 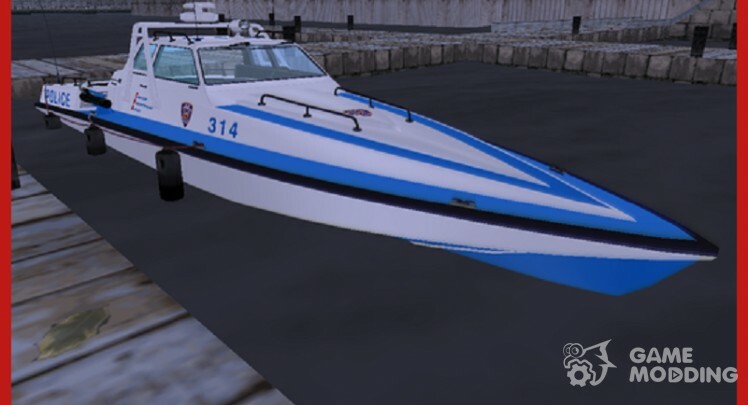 Permitted to publish mod from other sites, but under the following condition: must be specified all author and converters in the game and the website, which was laid out this model.